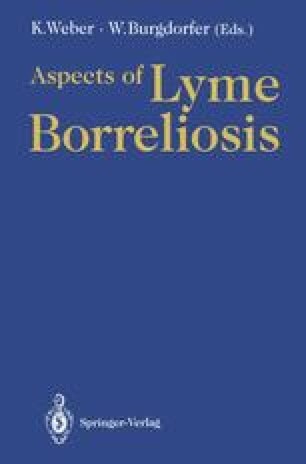 Borrelia burgdorferi may be observed microscopically either as living and unstained organisms or after the application of dyes. Because of the small number of bacteria in specimens from humans, especially in blood and cerebrospinal fluid (CSF), organisms are difficult to find using direct microscopy. Centrifugation of specimens improves detection in many cases. Suitable specimens for detection of B. burgdorferi are listed in Table 1. For the direct examination of B. burgdorferi, various methods and preparations are currently used.